As a Chartered Financial Analyst (CFA), Bruce holds one of the highest professional credentials achievable in the financial services industry. 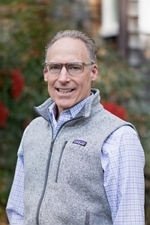 With more than 25 years of investment management experience, Bruce began his financial career as a commercial banker in 1987, when he worked in the New York offices of Dresdner Bank and National Australia Bank. In 1993, he joined Legg Mason as a financial advisor, then spent 6 years with Morgan Stanley before affiliating with Raymond James in 2009. Bruce holds a Bachelor of Arts degree from Hobart College, where he double majored in English and German. He then earned a Master of Arts degree in International Affairs from the School of International Service at American University in Washington, D.C.
A native of Mt. Kisco, New York, Bruce now lives with his family in Wayne, Pennsylvania. He and his wife, Jennifer, have two sons, Samuel and Erik. Outside of the office, Bruce enjoys skiing and hiking in Utah with his family, mountain biking, and amateur competitive road racing with the Main Line Cycling Club.